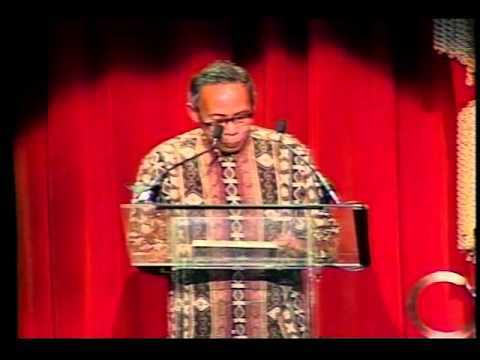 Paramount Chief of the Bentian Tribal Council in East Kalimantan, Loir Botor Dingit (d. 2005) led rattan farmers in sustainable forest management, a campaign that generated national attention and won government support for forest dwellers’ rights. 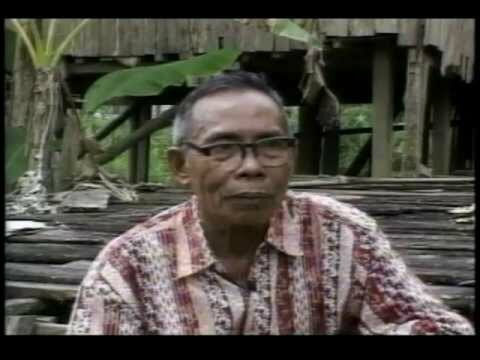 The Bentian people, a Dayak group from East Kalimantan in Indonesian Borneo, have a unique traditional system of rattan cultivation for export. Not only does it provide a source of income, the system also conserves forest biodiversity. In July 1996, Loir Botor Dingit, who spent most of his life as a rattan farmer, was selected by the Bentian Tribal Council to be Paramount Chief. Dingit had been organizing forest dwellers and bringing national and international attention to the plight of these communities, whose territories were seized by timber corporations. He was one of the first leaders to unite the Bentian and to reach out to other Dayak tribes, who were historically at war with the Bentian, in an attempt to protect ancestral forest lands. Since 1986 Dingit and the Bentian people petitioned the Indonesian government for the issuance of land ownership certificates for their forested territories. In 1993 an Indonesian logging company owned by Bob Hasan, a close associate of former President Suharto, bulldozed a number of Bentian rattan forest gardens and grave sites. Dingit visited the affected families and helped make lists of the crops damaged. According to Bentian tradition, specific plots of land are often named after ancestral farmers. Dingit recorded the lists of more than 2,000 damaged trees and 10,000 clumps of rattan, referring to the lands by their ancestral names. When Dingit attempted to report the damage to the company and the government, he became a target of reprisals. Because he had used the names of people who had died (i.e. ancestors) in the documents, he was falsely accused of forgery. After years of facing these accusations, in February 1998, Dingit was unexpectedly summoned to a trial based on the forgery charge. In spite of these charges, Dingit led his people to Jakarta for high-level meetings with government ministers to share their concerns. In 1994, the delegation met with the Indonesian minister of transmigration, who later issued a public statement about the need to respect the tribal rights of Kalimantan peoples. Partially as a result of the publicity that Dingit generated, in September 1996, the Ministry of Forestry announced its intent to start a pilot project where a small number of forest communities were to be given the legal right to manage up to 10,000 hectares of forested lands. The regional forestry office later issued a letter to the Bentian stating that some of the logging in their area was considered illegal and that the Bentian had the right to seize the illegally harvested timber. The Ministry of Environment, interested in drawing national attention to the sustainable management of the nation’s forests by indigenous peoples, worked with the Bentian and funded a rattan diversification program that would be implemented by the communities.